SCCF’s volunteers, supporters, and donors are the driving force behind our programs and services. We couldn’t accomplish all we have without them! Maya fell in love with SCCF’s mission and small business during her Business Planning Course. Maya is now the Project Manager for the BizLab, a student-run marketing firm based out of the Small Business Development Center and College of Business at JMU. As a Washington and Lee graduate and current MBA student, Maya is passionate about small business in the Shenandoah Valley. Maya has spent the past three years working with non-profits on marketing, teaching, and fundraising, most recently with the Allegheny Mountain Institute Farm at Augusta Health. Maya loves everything nature, especially hiking and gardening. Jamie Newman is a graphic designer and writer based out of Richmond, Virginia. She is currently employed at Queen City Creative as a junior designer, and volunteers one-day a week at SCCF. Born in Waynesboro, she has familial roots and a deep connection to the Shenandoah Valley. She is excited to help & serve this wonderful community! When she’s not working (and driving on I-64), you can find her doing yoga, reading a good book, or painting with gouache. Andy Vanhook, Imaginative Producer and Co-Founder, Appeal Production Andy wants to live in a world filled with innovative communicators, airline tickets with free upgrades, and belly laughs which make him cry. As a video producer for nearly 20 years, he's worked in all aspects of producing video for clients in the Shenandoah Valley, across the Commonwealth of Virginia, around the country, and all over the globe. He has helped numerous companies and organizations to tell their unique story to their specific audience. Along the way, he's won a few awards which proved to his mom he had a legitimate career. When he's not helping craft a client's story to inspire business growth, you'll find him whipping up a delicious, made-from-scratch pizza, fly-fishing chest-deep in a river, or making up songs about his dogs. Kim Arehart is the owner and operator of Kline’s Dairy Bar in Waynesboro, VA. She has opened two Kline’s locations over the last 20 years. Kim is also a Certified Public Accountant. She has taught small business accounting courses and has consoled several start-up businesses. Cass Cannon worked in communications, marketing, and public relations for more than 30 years, during which she designed messages, publications, training programs, and campaigns for educational institutions, government, and private businesses. She holds degrees in English (University of Colorado at Boulder) and Instructional Technology (University of Virginia). In 2012, she launched Peg's Salt, producing and selling a seasoned salt blend that her mother created in the 1970s. It is now sold in Whole Foods throughout Virginia and Washington, DC; more than 50 specialty grocery stores, online at www.pegssalt.com and on Amazon prime. As an entrepreneur and educator, Cass loves to learn from and share with others who are inspired to create something new. Effective learning should be practical, adaptable, and relevant. SCCF's Youth Entrepreneurship workshop is a great way to introduce young people to the work of creative enterprise. My first grade teacher tied me to my chair for walking around while learning (aka “disrupting class”). Since then I’ve been passionate about disrupting learning - doing learning differently. My experience cuts across education, design, manufacturing and sales. In between I started a learner experience design company (breakthruLX), a family (father of 4), sheep farm, and fantasy hockey team. I’m currently heading the launch of an exciting new Computer Integrated Manufacturing program at Valley Career and Technical Center in Fishersville, VA.
Mr. Peter Denbigh is founder and president of Skyler Innovations, based in Staunton, Virginia. In this capacity he has overseen the development, launch, and growth of the game “Watch Ya’ Mouth”, from a simple Kickstarter project to a top ranked item in a number of Amazon categories and one of the industry’s top selling games of 2016 and 2017, and winner of the 2017 Australian Toy Association Toy of the Year (games category). He also serves as catalyst and instigator for the development of the Staunton Innovation Hub. This 28,000 sqft, two-building downtown campus will be a centerpiece of innovation and collaboration, bringing together entrepreneurs, innovators, educators, investors, and ideas. Mr. Denbigh has been involved in technology and entrepreneurship from a very young age. Other business in his history include an outsourced helpdesk/IT services company, a nationwide consumer products brand for the outdoor industry, and serving as a project manager for a $30 million alternative fuel deployment program. 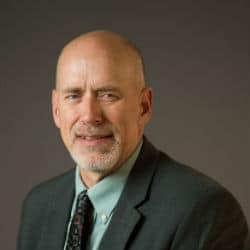 He is the recipient of the 2018 Distinguished Alumni award from the JMU College of Integrated Science and Engineering, and also serves as an advisory board member for the Amazon Launchpad program based in Seattle, WA. Mr. Denbigh earned both his Bachelor of Science in Integrated Science and Technology and his Masters of Business Administration (MBA) from James Madison University in Harrisonburg, Virginia. He lives in Staunton, Virginia with his wife and young son. Dale Haywood is minority owner of a Bojangles' franchise named Wilgo Bo, LLC in Staunton, Harrisonburg, Winchester, and Charlottesville community. His responsibilities includes overseeing operations, marketing, payroll, and HR. Started working for Bojangles' April 1, 1989 as a chicken breader and worked his way through the ranks in the parent company holding many positions in operations and training. After 25 years of working with the parent company, he partnered up with Will Gordon of Charlottesville, VA and opened their first Bojangles' in Harrisonburg, VA on September 20, 2014. Dale and his wife live in Staunton and has two children. Their 16 year old son lives in Staunton and goes to Riverheads High School. Their 23 year old daughter graduated from Western Carolina University and lives in Charlotte, NC as a HR Specialist. Ms. Kellett grew up in NY/NJ and VA. With a single parent household, financial struggles and small home, work was just a part of her life growing up. Her first job was at 14 years old, and she hasn’t stopped working since. She took some courses at a local community college on and off, however her work life took most of her time. Her main job as a young adult was in NJ with Educational Testing Service managing a call center, creating tests, and being a liaison. Her work ethic and proactive attitude gave her momentum in an education based profession. She landed in Virginia in the mortgage industry in 2002 and shifted to real estate in 2015 and has been doing that ever since. Ms. Kellett worked hard growing her team and is now the top selling Real Estate team in the Greater Augusta area and has a very successful business. Ms. Kellett is excited to support this event because she knows what it means to be a kid with ideas, social intelligence, and a great work ethic and how that is the recipe for success. Through participating as a mentor in this program she would love nothing more than to help our local youth tap in to the ingredients they need to create their own success as an entrepreneur. Evan is a serial entrepreneur whose passion for marketing was sparked out of necessity when he invented a baby product after the birth of his daughter. Having invested his savings in the product launch he was faced with a harsh reality - he'd created an amazing product new parents loved...but nobody knew it existed. Flush out of cash after bringing the product to market he only had two choices: fail or learn everything he possibly could about digital marketing and grow it himself. Since then, he's founded a number of marketing companies in various industries with a single, unifying goal: helping businesses realize their growth objectives profitably, while learning and having fun in the process. If the above is too much, let me know and I can shorten it! I'm excited to have the opportunity to work with the students, to help cultivate an innovative mindset, and to help teach them about the importance of taking calculated risks and how we can accept and learn from failures to ultimately find greater success. Will Strickland is a serial entrepreneur, technology innovator, investor and business leader. Will has been advocate for value of entrepreneurship for years believing that business and business leaders can be one of the most effective means to change their world for the better. Will founded Brilliant Blaze several years ago to pursue a passion for service as it focuses on serving its clients and community. Will launched BrilliantBlaze following several years in executive leadership at Avnet Services, where Will lead the Sales and Alliances team for the 29B Fortune 125 firm. Prior to Avnet, Will has been involved with dozens of startups including one that was acquired by Avnet. Will founded his first company just prior to leaving the Marine Corps as a Captain in 1995 and has been involved in technical startups since that time. He worked in the startup community in San Francisco during the dotcom boom before relocated to Virginia 15 years ago. Will is an active mentor with the University of Virginia iLab incubator, a mentor at HackCville, he is actively involved with a handful of startups currently and serves on the board of the Rutherford Institute, one of the nations oldest civil liberties organizations. Will is very excited about working with the Startup Experience team. The change in mindset involved in becoming an entrepreneur can be transformational and he looks forward to working with high school students to explore their dreams and expand their possibilities. Being an entrepreneur is about recognizing the problems in the world and then determining how you are going to fix them and helping students realize this truth is a great mission. Joe Sullivan is CEO and Founder of Vohtr, which seeks to help companies completely transform how they engage with their workforce and customers by utilizing real-time opinion gather technology deployed via mobile apps and/or in-place kiosks. 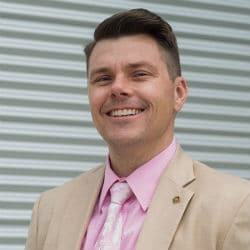 Joe is a chemical engineer with 15 years experience in manufacturing and is passionate about helping people bring a continuous improvement mindset to their business and lives. Why I'm excited about the event: No one is born an entrepreneur, you become one through practice. The best way to practice is with a coach, someone who themselves has practiced considerably. This coach's job is to instruct the student on the basics and to constantly push them outside their comfort zone, so they can achieve new levels of mastery and discover unrealized opportunities. I have had many great coaches help me practice this art, so naturally I jumped at the chance to act as coach to a new generation of entrepreneurs.